PROGRAM: Joseph Haydn: Symphony No. 99 in E-flat Major, Clara Wieck-Schumann: Piano Concerto in A Minor, Op. 7, Robert Schumann: Symphony No. 4 in D Minor, Op. 120. Harry Davidson is music director of the Duke Symphony Orchestra. 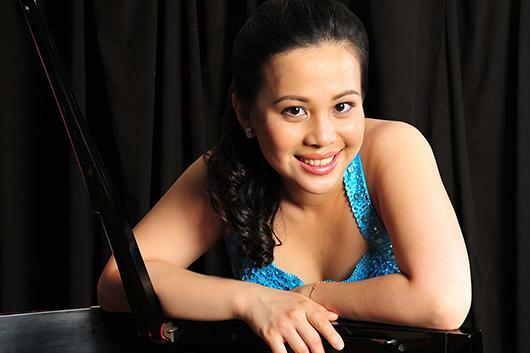 A versatile solo pianist and avid chamber musician, Cicilia Yudha has given performances in the US, Austria, Cambodia, Canada, France, Germany, and Indonesia. She has performed with the Cleveland Orchestra in Severance Hall and has given master classes and presentations across the United States and Southeast Asia. Passionate in music education and community service, Yudha taught in the Piano Preparatory Department at the Cleveland Institute of Music and the New England Conservatory Preparatory School, and successfully established a class piano program for the Youngstown City Schools. Yudha earned a Doctorate in piano performance from the University of North Carolina at Greensboro. She holds a Bachelor of Music degree and an Artist Diploma from the Cleveland Institute of Music, and a Master of Music degree and a Graduate Diploma from the New England Conservatory of Music. She is Assistant Professor of Music at the Dana School of Music at Youngstown State University.